Somehow between shooting her multiple television gigs, Christina Milian has carved out time to put together a new EP, 4U—which, she admitted to The FADER, is her "most favorite musical project" she's done to date. We've heard one track off the special record so far, "Do It," a slow-burner that features Milian's ex-beau, Lil Wayne. Today, she has shared a second track: "Like Me." 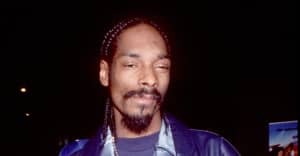 A bubble gum-tinted R&B track about maintaining power-player status in relationships, "Like Me" features a goodnatured appearance from none other than Uncle Snoop. "Getting Snoop on the record was one of the best choices I could've made cause everyone loves Snoop," Milian told The FADER. And indeed, he takes a swaggy turn on the track during which he boasts about something called his "do it fluid." Because can't nobody do it like me. Christina Milian's 4U drops December 4 and is available for pre-order on iTunes beginning today.